This page features Ivey & Crook residences located in the neighborhoods surrounding Atlanta's famed Piedmont Park. These include Ansley Park, Lenox Park and Morningside. Job #182, to me, looks like it ought to be at sea! It was built for J.M. Harrison in 1927. Wouldn't you love to spend your childhood in a house like this? Note the detail around the entrance. 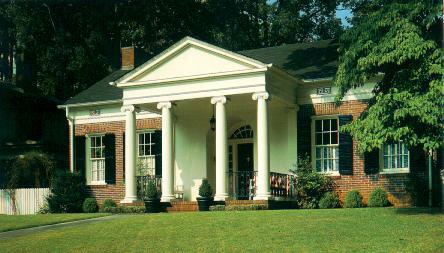 The home is currently owned by Howard and Ana Stopeck: they purchased it in 1982. Before then, it was probably used as a boarding house because, according to Mr. Stopeck, "it had a sink in every room." Needless to say, the Stopecks have made some enhancements to it, including a 20'x20' deck in the rear, but the front has remained, for the most part, as it was originally designed. Mr. Stopeck has a 70-year-old photograph of the house that I hope to publish here soon. Job #93, the second Ivey & Crook commission, built in the heart of Midtown for Mrs. Claude Patterson Noble in 1923. Job #517, commissioned by L.E. Grant in 1948. The home is located at the "mouth" of Westminister Drive. The B&W photo is by Reeves Studios; this color one is by Van Jones Martin, from Bill Mitchell's Classic Atlanta. Job #110, for E.H. Carman Jr. in 1923. This house really stands out amongst its neighbors. It looks almost too big for its lot. Job #248, The Barclay, built for Herbert C. Kaiser in 1930. The house is owned by Barbara and Dale Ray, professors of Urban Studies at Georgia State and electrical engineering at Georgia Tech, respectively. I don't know them personally, but I believe they appreciate the history of their home. Their mailbox features not the address but the name of their home: "The Barclay". 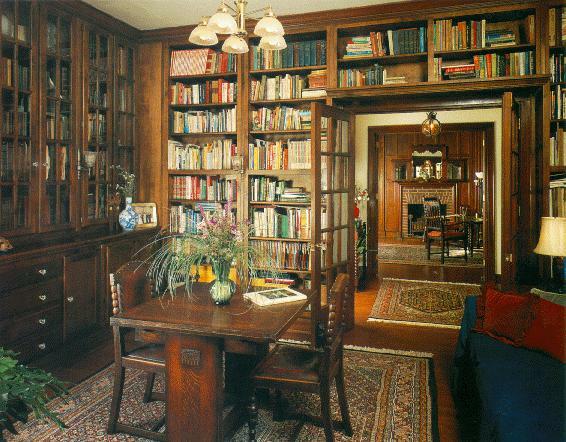 And note the strategic placement of the Crook Book on the table in the study. Both photographs are by Van Jones Martin, from Classic Atlanta. Job#247, The Chateaux, was the first model home Crook designed for Herbert Kaiser's Lenox Park subdivision near Morningside. Apparently, I took this picture on "trash day." 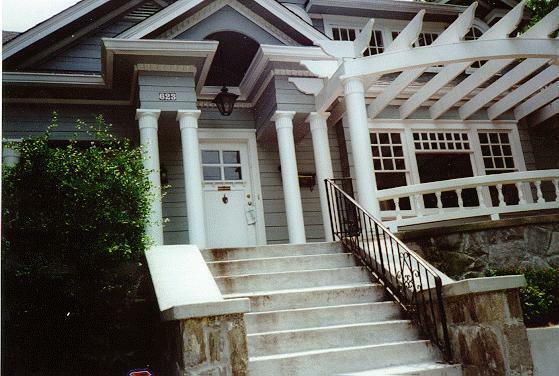 Job#261, The Sussex, as it was called when built in 1931, was another model home designed for Herbert Kaiser's Lenox Park subdivision in northeast Atlanta. It is now owned by Jay and Shari Steinberg, who purchased it in 1988. Dr. Steinberg is a physician on faculty at Emory University's medical school. Job #367, built for Richard A. Guthman in 1939, is also located in Lenox Park. Job #165, built for Chester Coulter in 1926. When I saw this house for the first time in February of 1996, it was a dump! The current owners are restoring it to its original beauty. Job #137, built for Dr. Avery M. Dimmock in 1925. The home is currently owned by Joe Giuliano, who was nice enough to send me this scanned photograph. Job #149, 987 Rupley Drive, for Dr. Harold M. Bowcock in 1925, recently sold for around $210,000 by former owner, Greg Spencer.